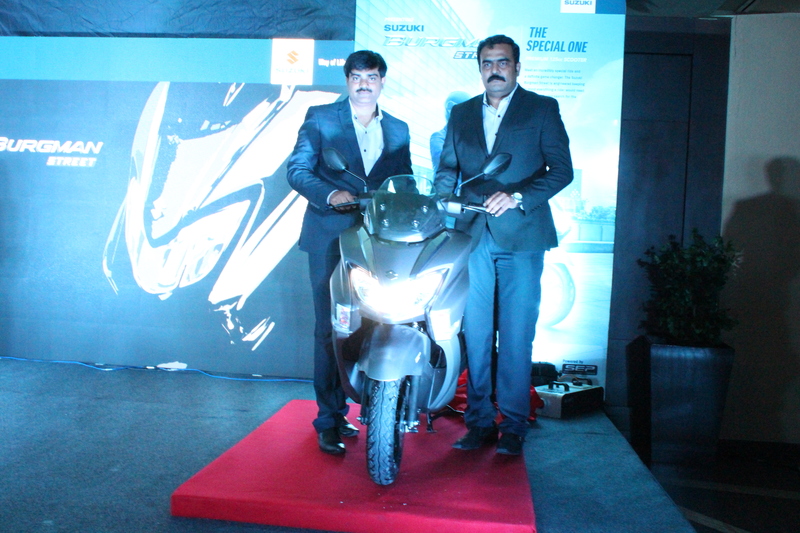 Suzuki Motorcycle India Pvt Ltd. a subsidiary of two-wheeler manufacturer, Suzuki Motor Corporation, Japan has launched the much-awaited BURGMAN STREET – a 125cc scooter and the descendant from its legendary BURGMAN portfolio. With a blend of luxurious design drawn from the European scooter design language, and packed with advanced technology; the new BURGMAN STREET from Suzuki’s stable represents the ultimate joy of riding. 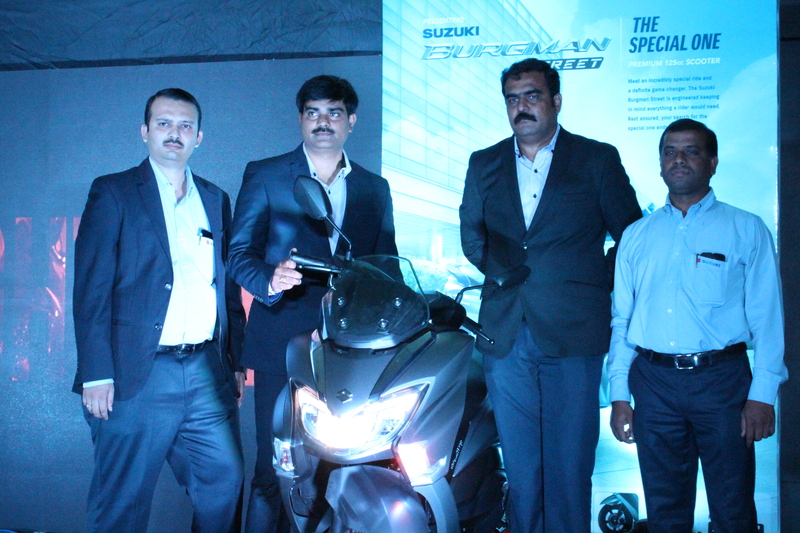 The new BURGMAN STREET packs in a 125cc, 4-stroke air-cooled engine with SOHC 2 valve single-cylinder BS-IV Engine (8.7ps@7000rpm,10.2Nm@5000 rpm); and is powered by the cutting edge SEP (Suzuki Eco Performance) technology, that offers an optimal fuel-efficiency without compromising on either power or performance. The CBS on new BURGMAN STREET enables operation of both brakes from the left brake lever, helping in maintaining a good balance between front and rear brake forces. A head-turner like no other, BURGMAN STREET’sluxurious design follows the Suzuki European style design that gives BURGMAN STREET its premium looks. A bright LED headlight, position lamp and tail lamp set-up further reflects its premium aspect, while its integral and cutting-edge design improves the functionality by enhancing the visibility at night. 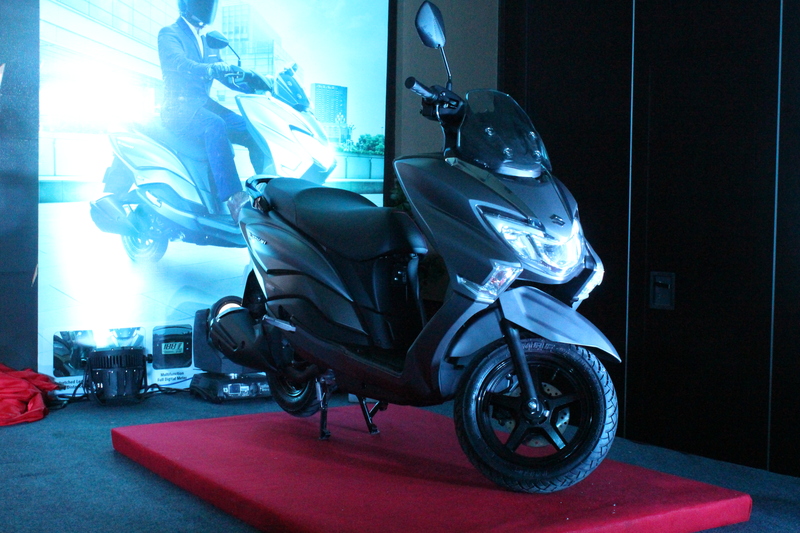 The chrome accent on front and rear body parts reflect the premium aspect of the scooter which not only compliments the overall design but also gives it a striking visual presence. BURGMAN STREET is built for comfortable riding with the flexible foot-position to reduce fatigue and offer best in class riding experience. It is loaded with a multifunction, fully-digital instrument panel with a Digital Clock, Fuel Gauge, Oil Change Indicator and a dual trip meter. The body mounted windscreen adopted from the design of international BURGMAN Series, reduces the wind blast by improving the aerodynamics. The BURGMAN STREET uses a long and comfortable seat, to give a sense of stability and comfort while long distances. The BURGMAN STREET also scores high on utility aspects, with a convenient and secured lid equipped front pocket with standard fitment of DC socket &USB charger as an accessory; and an under-seat storage capacity of 21.5L. The new BURGMAN STREET is available in Metallic Mat Fibroin Gray, Glass sparkle black and Pearl Mirage White, and is priced at INR 70105 (ex-showroom -Bangalore).